Pure and elegant display of classic white lilies. Send this arrangement with confidence. 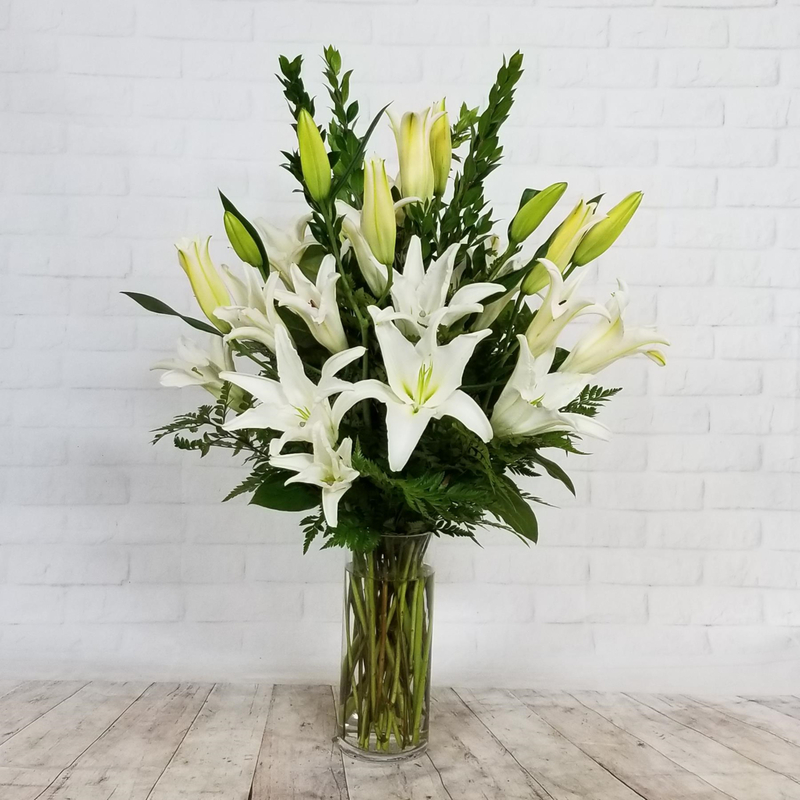 They will enjoy the freshness of the lilies as they fully open over several days.